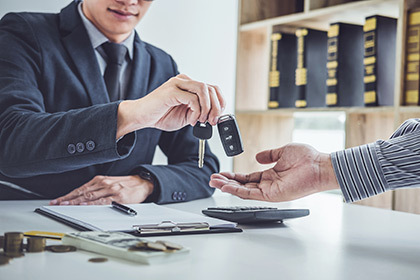 Buying a car when you have no credit can be one of the hardest things to do - some dealerships say you can't get a loan if you have no credit, but you can't establish credit if you can't get a loan. So if you are new to Canada, are young and yet to establish credit or have lived your life on a cash basis we can help! At Need A Car Now, having no credit is not a problem! Our process is simple because we want to help you start to establish credit and get you into the car of your dreams. 99% of all our applicants are approved, guaranteed. First, fill out our secure online Credit Application. Enter your personal information, address, and employment data and submit your form to our financing specialists. Our team will review your information and send it to appropriate lenders for approval. We will get back to you with the specifics of your loan approval within 24 hours. Because we have been in the Auto Finance industry for many years, we have leverage with lenders that other dealerships don't. We can get you the lowest possible rate even when you have no credit. We will work to get you financing so you can purchase a vehicle that meets your needs at a payment that keeps you within budget. To determine what your payments will be, you can use our online Car Loan Calculator. Enter a loan amount, how many months you would like to pay back your loan, and any other information you have like rebates or down payments. You can reset the form and change the information until you get the payment that is right for you. Once you are comfortable with your loan approval and payment, we will schedule a visit to look choose your new vehicle. We have high quality pre-owned cars, trucks, and SUVs that meet the needs of everyone. We sell all makes and models, and have access to hundreds of vehicles so we are sure to have the car you are looking for and if not we will get!